Washington, DC — On Saturday, November 19, 2016, bowling enthusiasts can roll a few balls to benefit Central Union Mission’s programs serving hungry, hurting and homeless neighbors in need. Word to the wise: the refs take bribes. 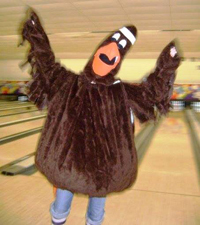 Event coordinator Karen McNeilly organizes this new tradition, the “Every So Often Turkey Bowl,” at Bowl America in Falls Church, VA (140 S Maple Avenue) starting at 7:37 pm. Mission supporters, staff and homeless guests will be competing for coveted trophies and raising awareness of the needs of poor people in our community. entry is $25 at the door. Thematic attire encouraged. Media are invited to attend. Please contact Deborah Chambers at 202-534-9965 cell or dchambers@missiondc.org to coordinate interviews with Mission supporters, guests and staff.